What Different Types of Nursing Can I Specialize In? Nursing school graduates can choose from many different types of nursing specialties. Determining the type of nursing one goes into depends on your own interests and personality. There are many sites on the Internet that speak about nursing specialties. In fact, the Johnson and Johnson nursing page lists 104 nursing specialties. Some specialties require only a Licensed Practical Nurse, or LPN, certification. You can even specialize as a nursing aide with your Certified Nursing Assistant certification, or CNA. The starting point for most nursing specializations, however, is becoming licensed as a Registered Nurse, or RN. Education and experience for specialization are added to that basic requisite. Travel Nurses: These nurses go to different locales filling temporary nursing vacancies. Public Health Nurses: These nurses educate communities about healthcare issues and even provide basic healthcare services such as immunizations. Nurse Anesthetists: These nurses administer and monitor anesthesia during surgery or another medical procedure. Intensive Care Nurses: These nurses provide critical care for patients with critical or threatening medical conditions. Emergency Room Nurses: These nurses provide care for patients who enter the emergency room for various medical needs. Operating Room Nurses: These nurses assist doctors in the operating room during surgery. Labor and Delivery Nurses: These nurses provide care and assistant during the birthing process. Neonatal Nurses: These nurses monitor and provide care to babies in neonatal units in the hospital. Telemetry Nurses: These nurses monitor the vital signs of patients who are dependent on life-saving medical devices. From these large groupings, there are more narrowed types of nursing. More on these nursing specialties can be found at the Johnson and Johnson website. Cardiac Care Nursing: These nurses administer and evaluate stress tests. They monitor electrocardiograms and care for cardiac patients. These registered nurses work in cardiac care for two years, getting at least 2000 hours of clinical experience before passing a certification examination. They must also keep up continuing education hours. Case Management Nursing: Case manager nurses coordinate the care for patients with long-standing illnesses. Their goal is to be proactive in keeping them as healthy as possible. They are RNs with two years of case management experience education and have passed a certification exam. Certified Nurse Midwife: These professionals provide healthcare services from prenatal to postpartum care. They are RNs between two and four years of experience in a midwife-type field and advanced graduate study to be certified. Family Nurse Practitioner: A Family Nurse Practitioner provides the same services as a primary care physician. They work under the supervision of a medical doctor. These are RNs who received their Master in Nursing degree and took coursework in areas such as chronic and acute disease management before earning their certification. Flight/Transport Nurse: Patients in rural areas often rely on these nurses to provide emergency health care or to take them to a hospital where they can receive care. In addition to their RN license, they must have between three and five years of critical care experience (some states require EMT training too) to sit for the certification exam. Nursing careers are always evolving and emerging. Most require an RN and additional education to be certified. These specialties are just a highlight of the many career paths you can take in nursing. 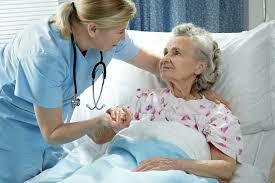 Each career specialty is best chosen based on the specific nurses’s personality and interests.